Stanford commit Lexie Hull scored 26 points to lead CV to GEICO Nationals tournament championship in New York. It took a trip across the country for Central Valley’s girls basketball team to find some competition. The result was the same in another win – this time to seal the title of best in the nation. CV used a strong fourth quarter to comeback and defeat Hamilton Heights Christian Academy 66-61 in the GEICO Nationals basketball tournament Saturday in New York City. Senior Lexie Hull, Washington’s Ms. Basketball and Seattle Times co-player of the year, led with 26 points. “It’s amazing, so surreal,” CV coach Fred Rehkow said. 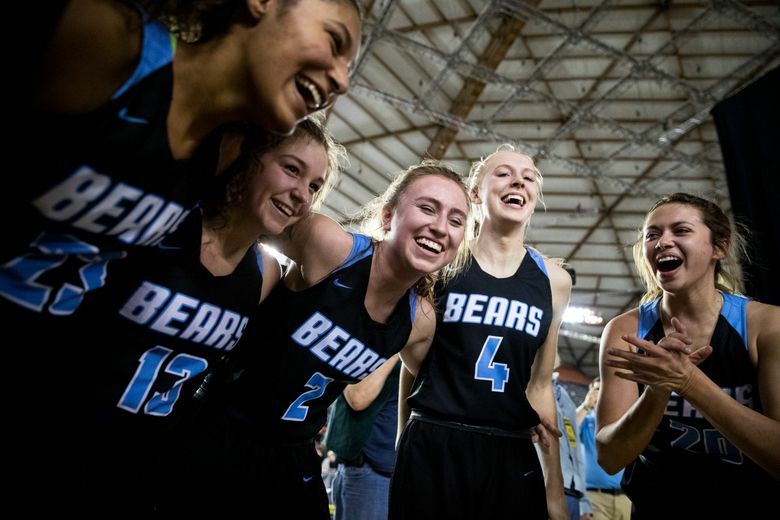 Central Valley (29-0) won the Class 4A girls state championship earlier this month to complete a season where it beat in-state opponents by an average of 44 points per game. Hull has teamed with her twin Lacie to rack up a 102-6 high-school career record, seemingly not facing any true competition until suiting up for Stanford in the fall. The impressive stats caught the attention of the prestigious GEICO tournament, which invited the nation’s top four girls and top eight boys teams to New York to compete for the title. CV and Garfield’s boys were first-timers, the Bears looking less intimidated in the nationally televised games. Garfield, which won the Class 3A boys state title, lost to Oak Hill Academy in its quarterfinal game Thursday. Hamilton Heights (25-3) is a private school located in Chattanooga, Tenn. The team features Tennessee commit Jazmine Massengill, a McDonald’s All-American, and Georgia Tech-bound Elizabeth Balogun along with a 6-foot-6 sophomore center in Kamilla Cardosa. After trailing 36-26 at the break, the Hawks outscored the Bears 17-5 in the third for a two-point lead. Central Valley responded with a 25-18 output in the final quarter for the win. Massengill had 32 points for Hamilton Heights. “It was the perfect, a great journey and like coach said, very surreal,” said Lacie Hull.